07. 1953-1962, the African period. On April 15th, 1953, a first group made up of 44 Para-Commandos embarks in Zeebruges on the Kamina to the Belgian Congo. Its return is planned on December 1st, 1953. This group will have the unique title of "RECONNAISSANCE DETACHMENT ". This detachment made up of 4 Officers, 8 non-commissioned officers and 32 corporals and soldiers will stay 6 months at the Kamina base in our former colony in order to prepare the installation of the future detachments and to test the training programme developed for Africa. On November 9th, 1953 the first important detachment of home troops composed of 330 Para-Commandos (a Parachutist Company, a Commando Company and a Recce Platoon) embarks in Antwerp in direction of the colony for a period of six months. At that period, the travels were made by boat, on the ANT (Auxiliary Naval Transport) KAMINA (A.957) to Moanda (Belgian Congo), from where an airlift brought the personnel on the base of Kamina. All Battalions of the Regiment will go successively to Africa for periods of approximately 6 months. 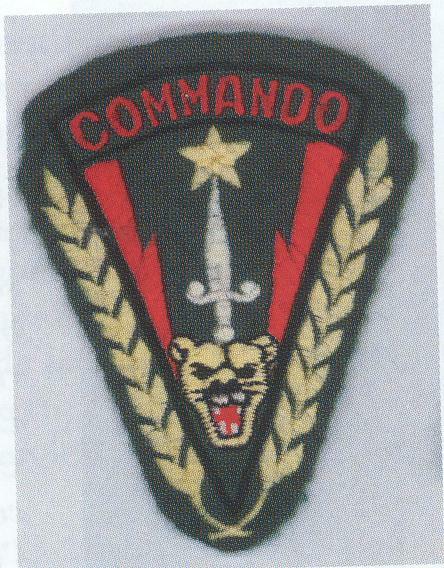 After the operations of maintenance of law and order and of rescue that were necessary after the turmoil of the independence of CONGO, RWANDA and BURUNDI, (1959-1962), all the Para-Commando Units get back to BELGIUM. The M.T.C. (Military Technical Cooperation). In 1964, Belgium agrees to provide personnel qualified to create a Commando Training Centre in Zaire. As from 1965, Lieutenant Gaston Bebronne and a team of Para-Commando instructors work relentlessly. Overcoming many difficulties, they will build in Kota-Koli a military camp with quarters, training tracks (cords and obstacles), climbing ways and even a landing zone for C-130. They will develop an instruction programme and, to this end, will use the site of the Ubangi valley. As from 1966, the Commando training will be given continuously until 1990, when Belgium will make an end to its military technical assistance in Zaire. Major Michel van Emrik will be the last major of the Camp.